Guest post 2019-01-29 Human Resources, Technologies. Modern businesses are more specialized and compartmentalized than ever before, especially in the technology sector. This level of ultra-specialization has allowed companies to focus on tools for specific platforms, such as plugins for WordPress or mailbox add-ins that link into Salesforce’s API. For these organizations to hire the right people and remain focused on their segment, partnering with other firms and using outsourcing for software development has become more popular than ever. Bespoke development projects can be as small as a few extra hands or as large as a ground-up build of a mobile platform. However, no matter the scale, there are a few things every organization needs to ask themselves before they decided on a vendor. What do we require and how much help will we need? How will we ensure that a clear, two-way line of communication is established? What is our expected cost, and how will we deal with unexpected expenses? To understand what a company requires and how much help will they need, every organization should evaluate the scope, scale, and strategy for their project. When outsourcing development of a project, many will assume they’ll need to contract out the entire project. However, if an internal team is able to take care of much of the work, there’s no reason an organization shouldn’t be able to outsource specific parts of the project’s development. From Slack to Trello to Microsoft Project, there is no shortage of tools that allow teams to communicate during a product’s development. Yet even when using these tools with a completely internal team, developers sitting within an arm’s length of each other can still have miscommunications. Working with an outsourcing team has the potential to make communication a bigger issue. However, it doesn’t need to be a concern if the vendor is properly vetted and both the hiring organization and the hired firm have a clear understanding from the start. When outsourcing a team for your project, this is often one of the biggest questions hiring firms will need to answer. Local teams can often be an excellent choice, allowing the hiring firm to meet them in person as required while holding similar business hours and sharing common experiences and interests in their area. Face-to-face meetings may occur more often via a webcam while business hours can change between the two organizations and cultural similarities can become interesting minor differences. Then there isthe offshoring a project that opens the product’s development up to all the talent in the world, where the best and brightest can be hired no matter their geographical location. When going out of the country or even to a separate continent, in-person meetings become a rarity and communication can be strained. However, advances in technology from remote workplaces to HD video calling have made the world a much smaller place, and the challenges of offshoring a project that were faced 20 or even 10 years ago don’t have nearly the impact they did previously. What project management strategy will be used? Regardless of the location of an outsourced team, everyone will need to be on the same page when it comes to the product development lifecycle of choice. Of late, agile project management has become the go-to for developers, ensuring everything is completed in sprints, and scrums are held as frequently as required to ensure all parties are pulling in the same direction. Others, however, have either stayed with a traditional waterfall methodology or developed a hybrid agile/waterfall strategy. Legal obligations may be the least enjoyable part of outsourcing a development team, but they have become unavoidable with modern security and regulatory standards. 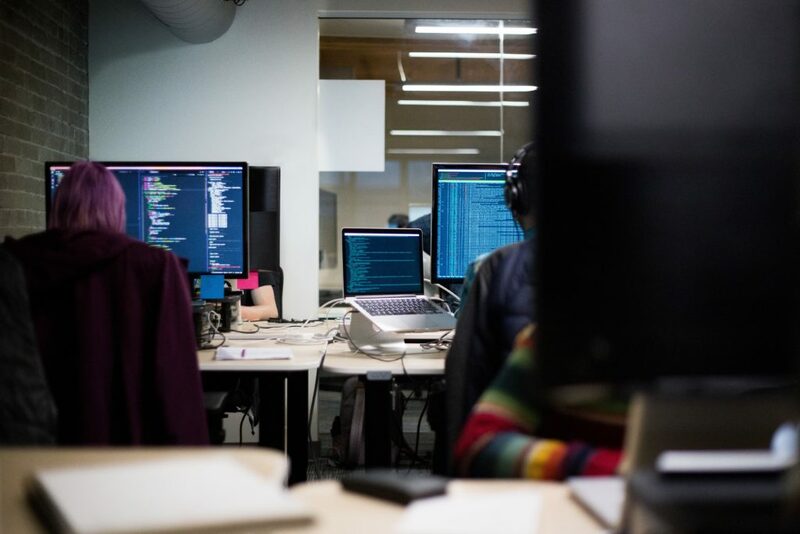 When hiring an outsourced developer or development team, it is critical that everyone is on the same page when it comes to legal understandings and security procedures. Standard agreements many not work with cutting-edge development, so if the project is complex and brings brand-new technology or capabilities to the market, it is important that NDAs are agreed upon, ISO compliance is met and agreements will be abided by during the project’s development. Then there is cost, which can be the driving force behind many firm’s decision to outsource development. This, however, should not be the sole deciding factor. No matter how much communication, preparation, and planning goes into a project’s development, setbacks will inevitably occur. Outsourcing development is like buying a car: You need to buy something you can afford to purchase and maintain. Outsourcing budgets should include the initial cost, and a bit should be set aside for issues during the project and beyond the end date. If these can be negotiated during the initial agreements, that would be best, but it is absolutely something to keep in mind when contracting a development team. For more information on hiring a remote development team, feel free to visit Ciklum website. Whether you need to build a product from scratch or strengthen your in-house IT capabilities, drop us a line and we’ll choose the best team composition for your project. Ciklum is a global Digital Solutions Company for Fortune 500 and fast-growing organizations alike around the world. Our 3,000+ Developers located in the Delivery Centres across the globe, provide our clients with a range of services including Enterprise App Development, Quality Assurance, Security, R&D, Big Data & Analytics.